Bariatric surgery, or weight loss surgery, can help obese adults lose weight, feel full, and improve conditions like type 2 diabetes or sleep apnea. In addition to non-surgical weight loss options, Southcoast Health offers bariatric surgeries such as roux-en-Y gastric bypass surgery and laparoscopic sleeve gastrectomy. The success rate for weight loss surgery is very high, but there are several risks of bariatric surgery, including weight gain, weight regain or inadequate weight loss. In these situations, it may be possible for gastric bypass patients to receive a follow-up procedure called bariatric revision surgery in Fall River or Wareham, MA at Southcoast Health. This surgery can alter or repair your initial bariatric surgery. Southcoast Center for Weight Loss offers revisional bariatric surgery for both failed restrictive procedures as well as inadequate weight loss. If you have undergone bariatric procedure and experienced complications or unsuccess, learn more below your options below. Bypass surgery has become increasingly common and is typically recommended for individuals with a body-mass index of 40 or higher, or those with a BMI of 35 or higher with weight-related health conditions. Your options for surgery will be dependent on the surgery that you initially received. Schedule a consultation with one of our bariatric surgeons in Fall River or Wareham to see how we can help. 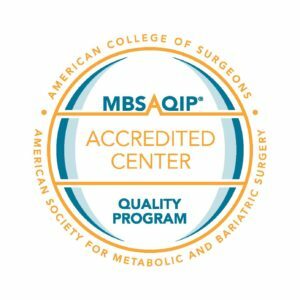 Whether or not you received your bariatric surgery at a Southcoast location or another facility, we would be glad to discuss your options and find a way to improve the success of your surgery. Reach out to the caring team at Southcoast today to see if bariatric revision surgery is right for you. The Southcoast Center for Weight Loss provides bariatric revision surgeries, including Roux-en-Y gastric bypass revision and gastric bypass revision surgery, in Fall River, Dartmouth, New Bedford, Wareham and MA, as well as parts of Rhode Island.